I’ve told many stories and written many posts about my Dad. Folks who know me – particularly my family – have heard these stories many, many times. 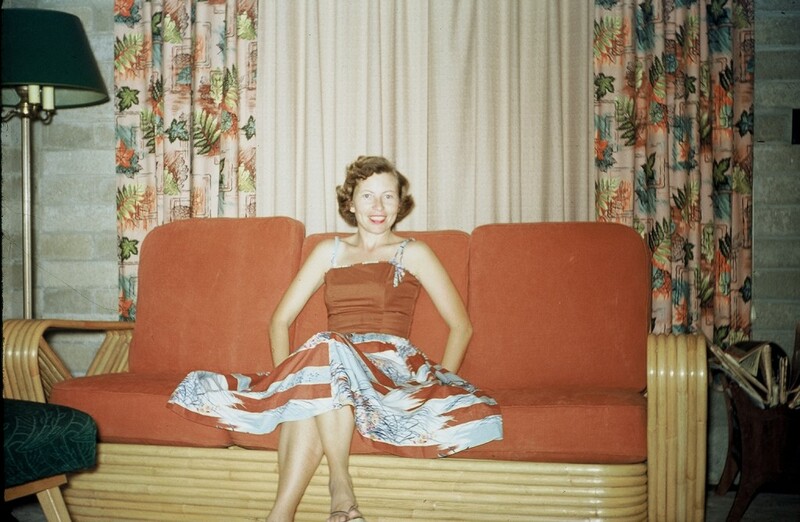 I’ve rarely written or told stories about my Mom. And that is just the way I think my Mom would like it. Many people write about their Moms and Dads in saintly terms. But for those who were fortunate enough to know my Mom, few would argue that Joyce Johnson, daughter of Ola and Clarence, big sister to Dale and Beth, wife of “J. E.” Johnson, and mother of Steve, Janet, Jim and Jerry, was as close to the model of true Christian living as this world has ever seen. My mother taught me many, many things. All were taught by example. She gave few lectures. When around her you watched, you marveled, and you began to understand what words “character”, “virtue”, and “love” meant. Extreme humility. My mother’s humility was breathtaking. It was so vast and deep it is even now hard for me to capture into words. In every thing, in every aspect of daily life, she put herself last. The most horrifying thought for her was that she might be an inconvenience to others. For Mom, it was never about her. She always focused on “the other” whether that be family (most often) or anyone else that might be within her tender reach. Constant service. My mother was constantly serving. The only time she sat down completely for a meal was at a restaurant. Whether at her home or someone else’s house, she’d sit long enough to be polite but soon slip quietly away to fill a glass, replenish a plate, wash a dish, prepare for the next course. There was a fascinating calmness to it all. Even in daily life, Mom’s movements were measured, efficient, and meaningful. She was constantly in motion, working in a simple, methodical and purposeful way. Quiet resolve. Before there was “no drama Obama” there was my Mom. Underneath her generous, quiet and humble attitude was a rock-hard steeliness and resolve that defined indomitable. Once set, her direction never veered. She epitomized “endurance.” Nothing caused her to waver – neither the burden of physical pain nor the lure of physical comfort. Whether it was past the well-meaning entreaties of her children and family, or the challenges posed by new places and new faces, Mom’s course never faltered. Understated bravery. Mom was brave. Not in the way that Hollywood likes to define it. But in its truest sense. She dared to do things that frightened, intimidated and outright scared her. 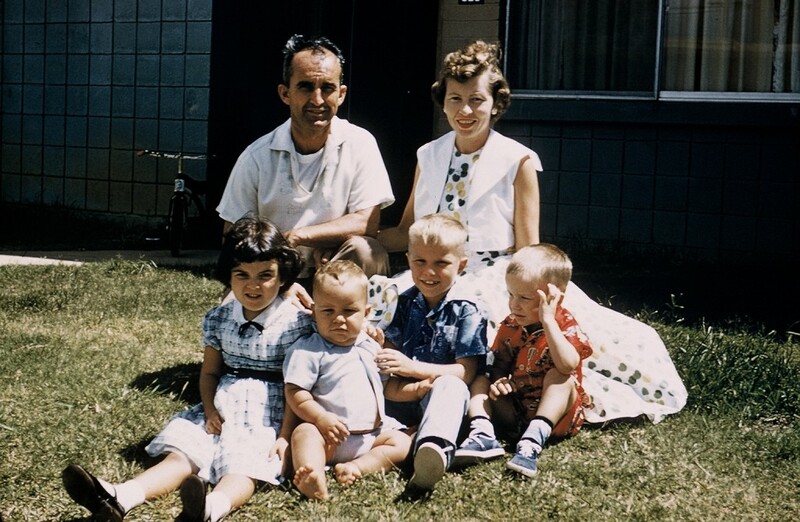 From crossing the Pacific on a rusty military boat, alone with three children, two of whom were in diapers to moving to a new state, and a new community, alone, after losing her beloved husband of forty plus years. She faced things she feared without fanfare, fuss, or complaining. Universal kindness. In my fifty-eight years of living, I cannot remember or recall my Mom saying an unkind word about anyone. Ever. It is an incredible claim but amazingly true. To be sure, there were things people did that she disapproved of (and I know there were times when I fell into that category!). And occasionally she would let you know that. But even then, her words were so tempered, her manner so understanding, her objections so qualified and understated you had to search and be attentive just to realize that she felt something amiss. Unshakable faith. Mom’s faith in Jesus was simple, direct and unshakable. It is said that there are five Christian gospels: Matthew, Mark, Luke, John, and the life of the Christian. People rarely read the first four. I was blessed with the fifth gospel. The Gospel of Mom. With Mom there was no need for complicated systematic theology. We are all equal, all created in God’s image. We are called “to act justly and to love mercy and to walk humbly with your God.” And the reconciliation of justice and mercy lie in the person of Jesus Christ. A life of grace, forgiveness and sacrifice. Unfathomable love. You can wrap all of the above up in a single word. Love. Never have I seen or experienced human love that rivaled that of my Mom. This was particularly true of the love between her and my Dad. Mom’s love was the perfect mixture of adoration, passion, respect, kindness and devotion. Thousands of years ago God reached out and gave of himself to redeem humanity. In the form of Jesus, God gave us a real living breathing reflection of God’s true nature. So I believe it only appropriate and a fitting interpretation of God’s will, that Mom was called Home at the same time we celebrate God’s ultimate gift. Mom left us yesterday, Christmas Eve 2014. That said it all. Uplifting humility. Abiding faith. Enduring love. You were God’s greatest gift to so many of us. A wonderful and touching memorial to your mom. My sincerest condolences on your loss. A most thoughtful and poignant tribute. Our most sinscere condolences.